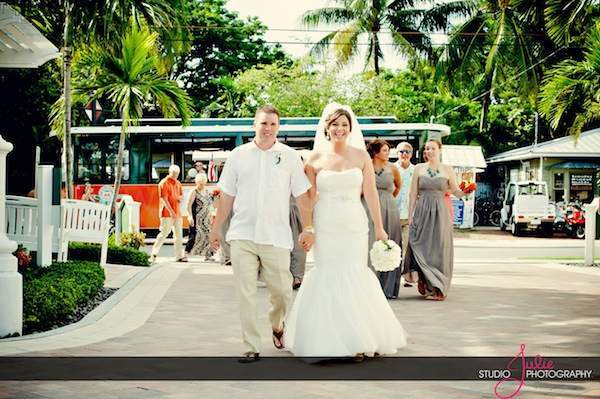 Elisabeth (or Lizzie) and Jay wed in Key West this summer at a classic beachside wedding at Southernmost on the Beach. 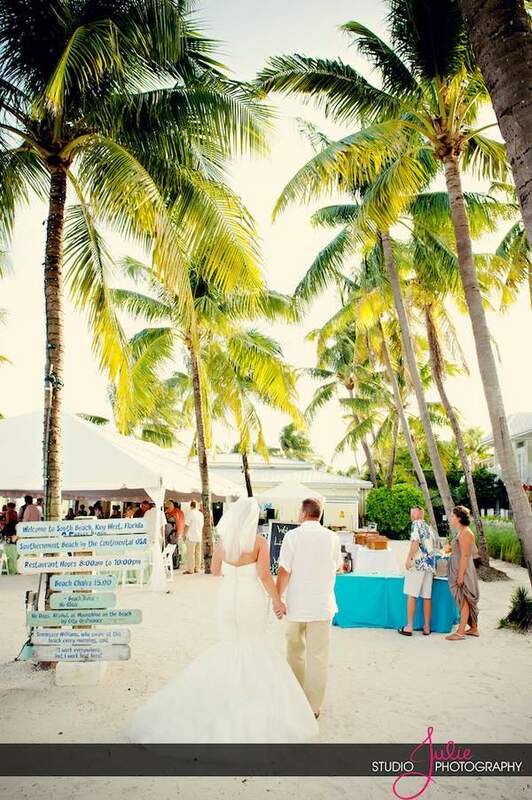 The couple took advantage of Key West’s unique offerings the morning of their wedding. Lizzie and her girls grabbed brunch at La Te Da, while Jay and his groomsmen went for a jet ski ride around the island. Lizzie and her girls got glam at the Casa Marina Salon before the ceremony. The wedding was officiated by Rev. Steve Torrence, and afterwards during the cocktail hour Toko entertained the party on the steel drums. 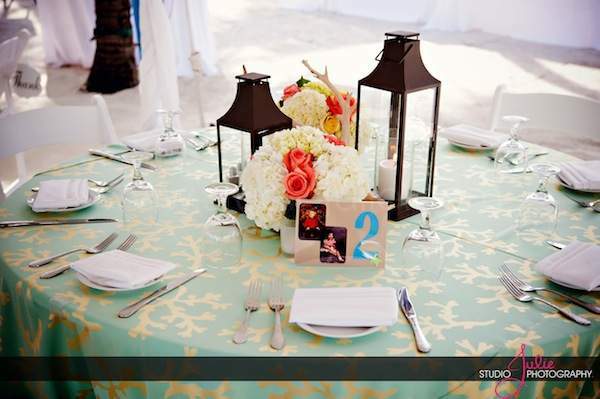 Prestige Party Rentals provided the tent, dance floor and lanterns for the reception and Milan Event created the gorgeous floral decor. After the ceremony, Lizzie and Jay took a spin through town on a pedi cab, and returned for the party. DJ Jimmy of Soundwave kept the party dancing and Joanna of Soundwave captured everything for the wedding video. Key West Cakes created a scrumptious and beautiful cake. We adored the personal touch Lizzie and Jay went for with table numbers by including pictures of them growing up over the years leading to the day that their lives became intertwined. 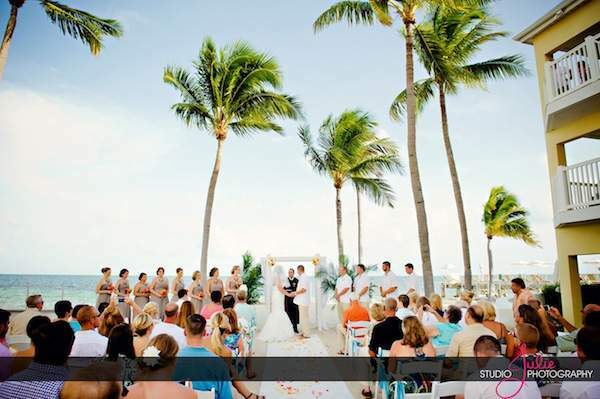 It was a gorgeous wedding and such a lovely setting on the beach. 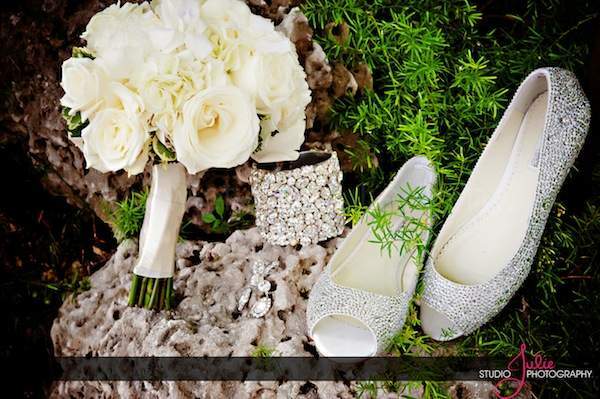 Studio Julie captured these amazing pictures and many more. Congratulations to Lizze and Jay!